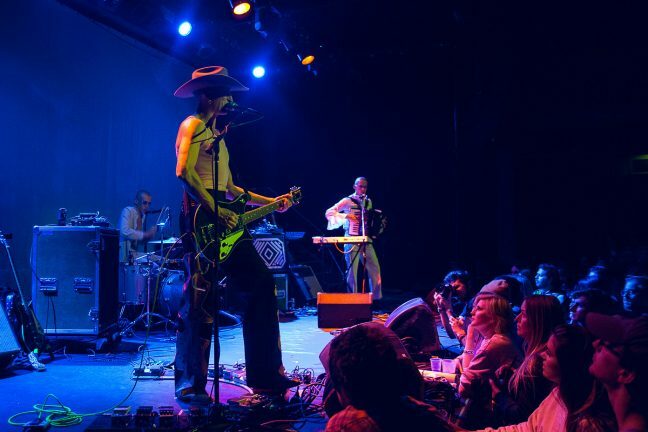 Australian psychedelics Pond recently played a US tour, including two up close and personal dates in New York City. 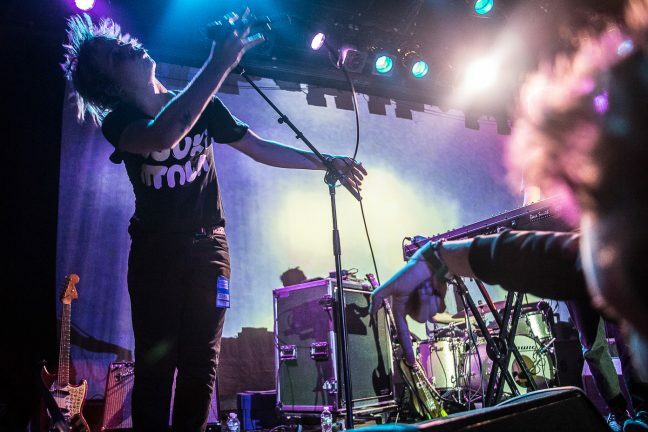 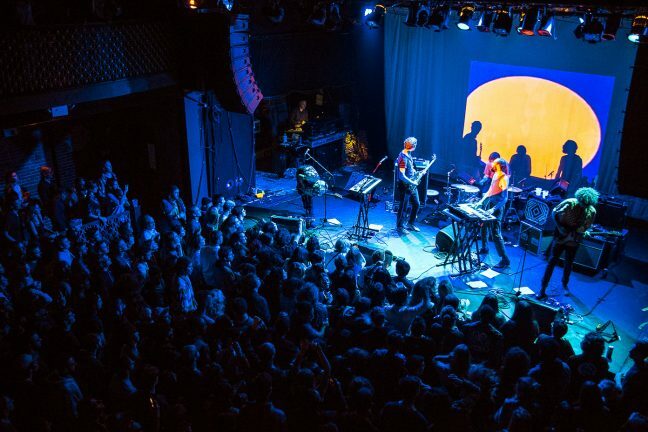 The first NY date – at Brooklyn’s Music Hall of Williamsburg – was especially intense, as both main act and support ended up in the crowd on the night. 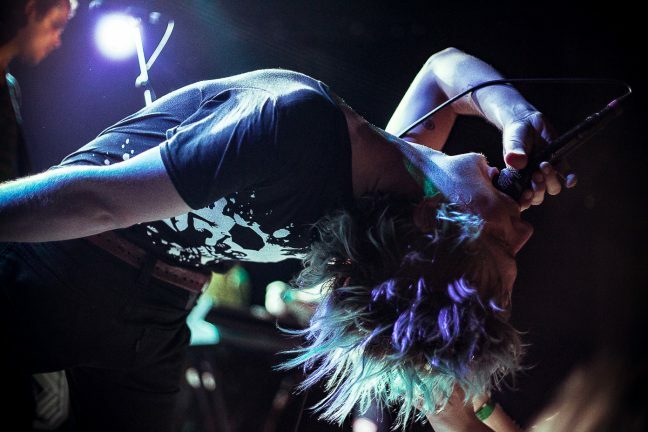 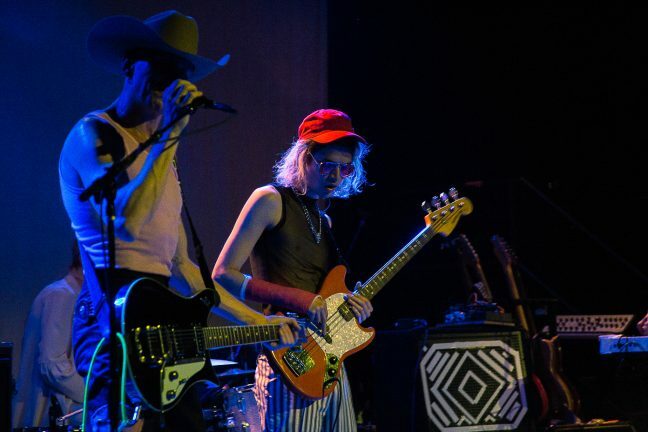 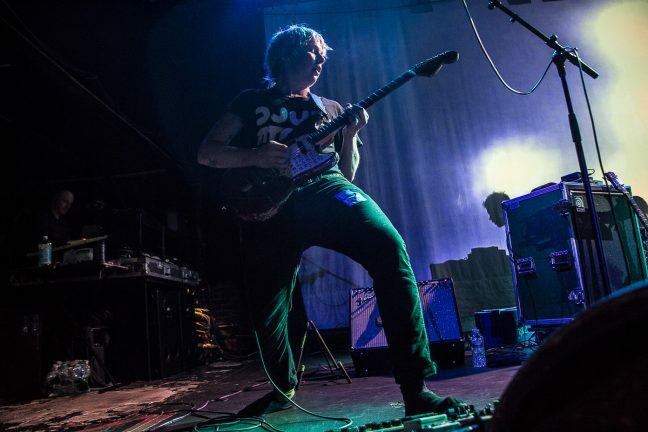 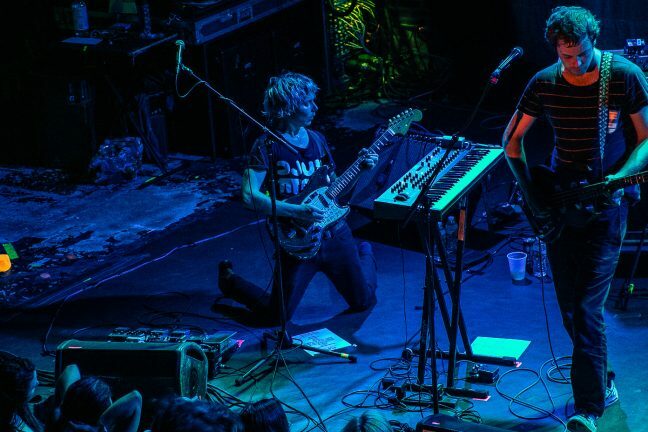 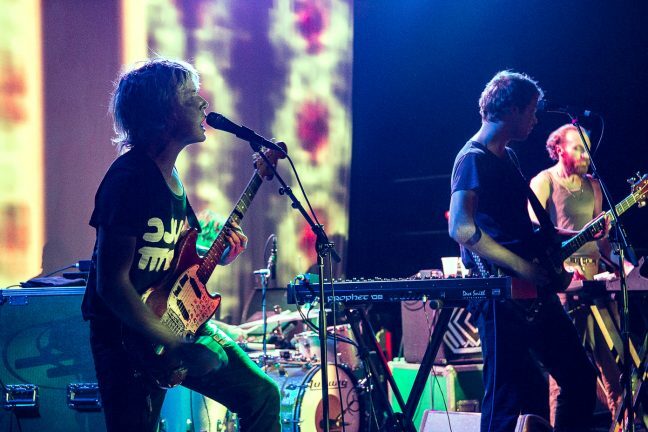 Pond recently released their seventh album The Weather, a count inflated by the release of three full-lengths in one year at one point, achieving perhaps their biggest critical success yet. 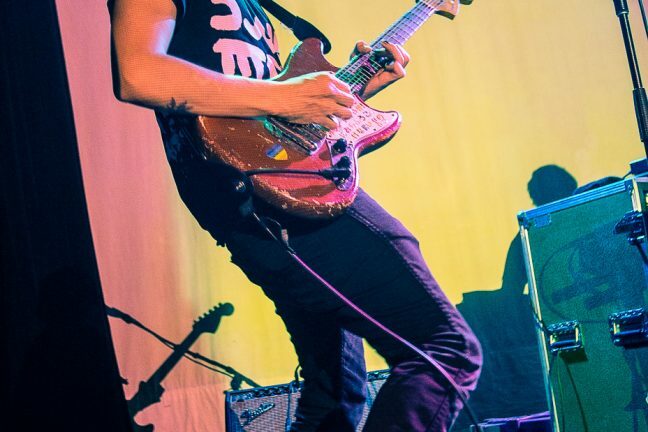 And while still closely associated with Tame Impala – Pond frontman Nick Allbrook is a former touring member and Jay Watson plays in both bands – they’re now a heavyweight name in psychedelic rock in their own right. 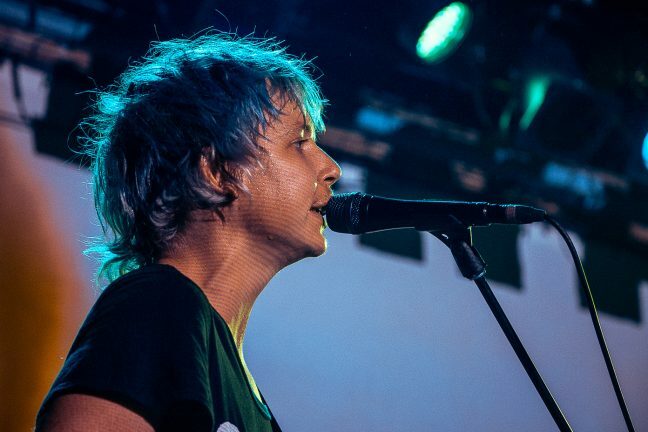 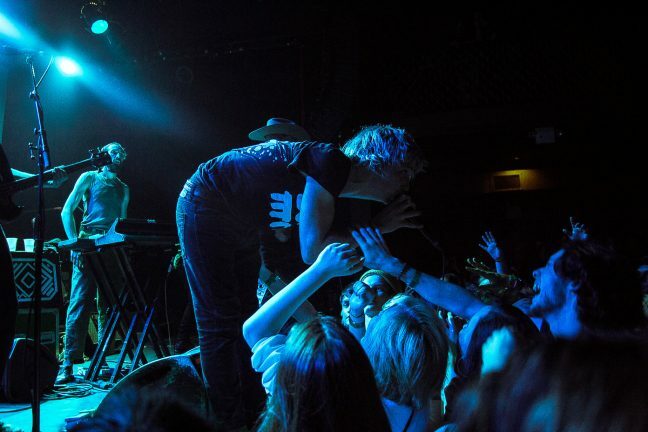 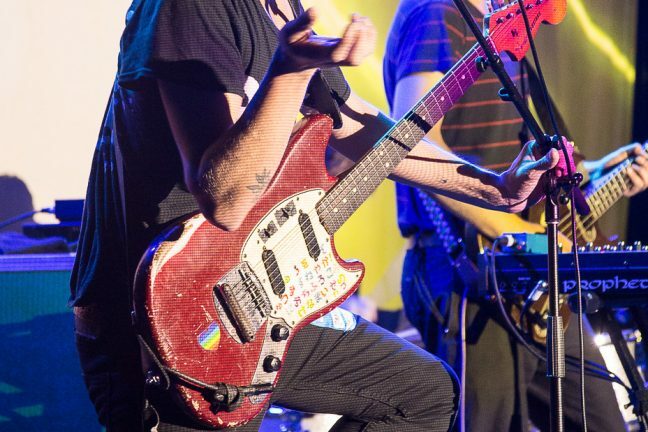 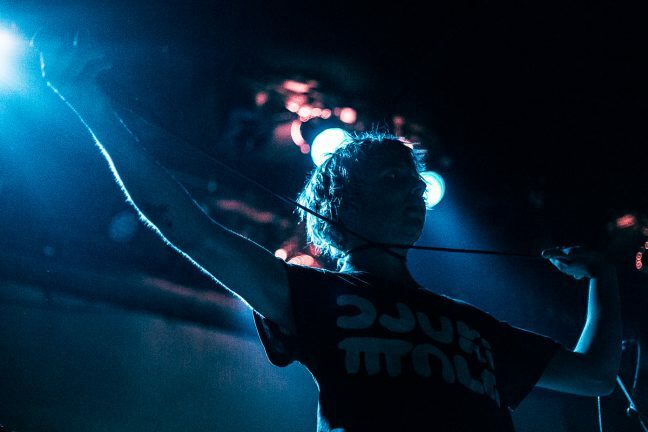 But the crowds at their shows aren’t the chilled fare you’d sometimes expect from the genre, and in Brooklyn Nick made sure to egg them on, touching hands and leaning into people. 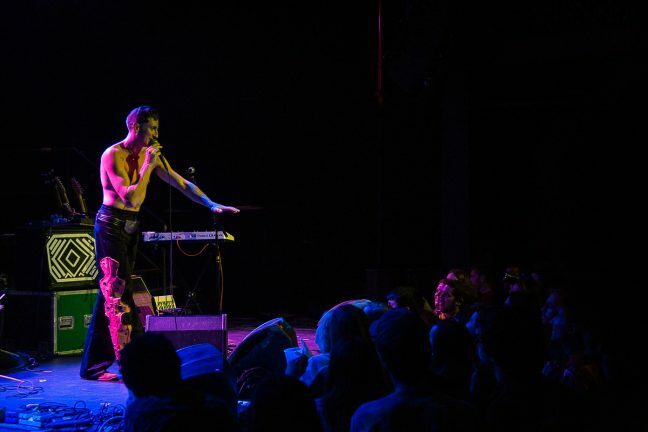 He described the band as “goons doing goon things”, lost a shoe in the crowd, and brought support Kirin J Callinan back on stage, only for him to proceed to get in on the crowd surfing too. 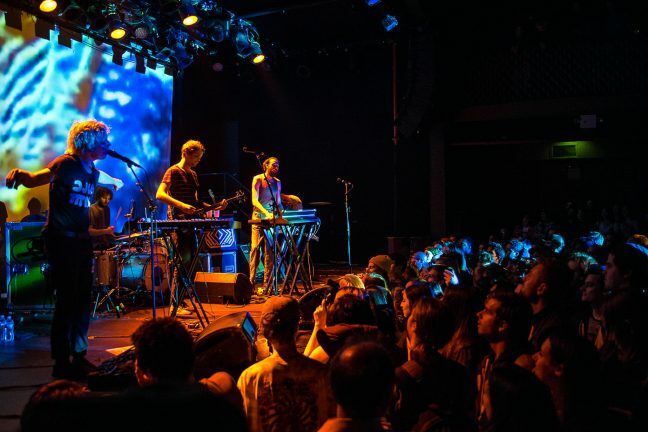 The whole set was played with fitting psychedelic projections, and a set list that encompassed a good chunk of their storied catalogue and plenty from the new release. 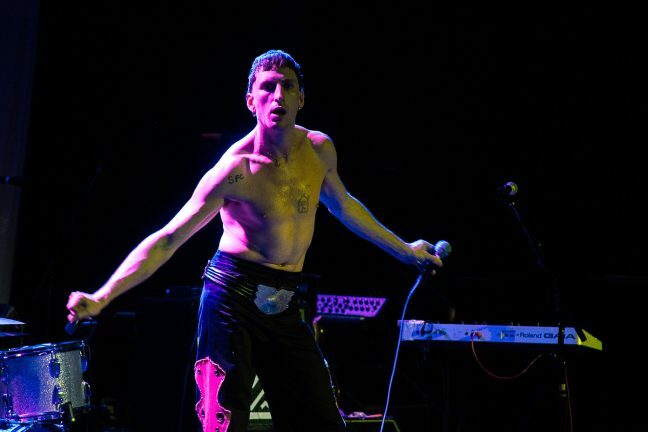 Kirin J Callinan opened the show in full cowboy get up, his band well coordinated with shaved heads and all-white outfits. 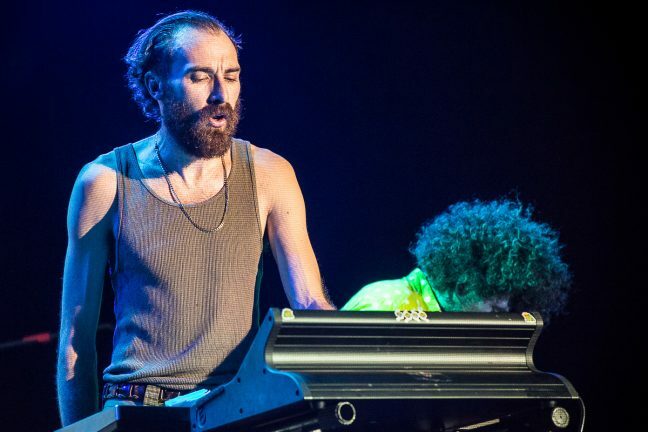 His exciting and eccentric set had lots of dancing, and lots of people that headed to the show to see him, despite the more famous headliner. 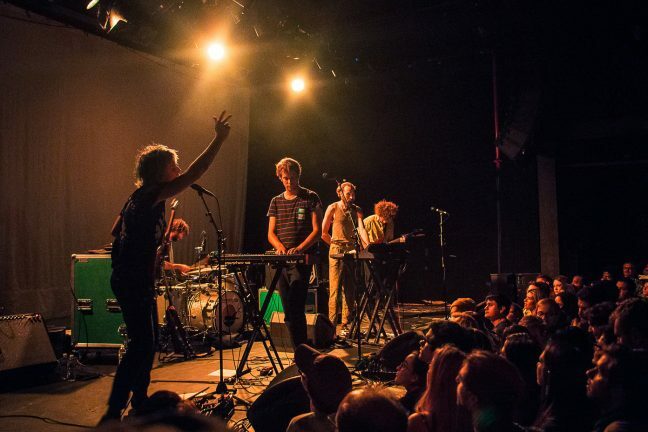 Pond are set for six UK headline dates this month, starting on 15 June in Brighton. 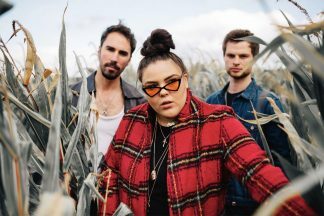 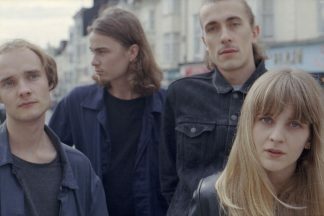 They’re also scheduled to play at Reading and Leeds in August and End of the Road Festival in September.